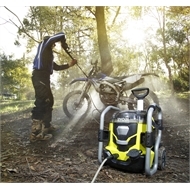 Take the hard work out of your outdoor cleaning with the Ryobi 36V pressure washer kit. 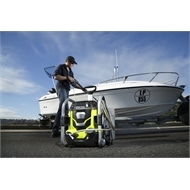 Versatility and cordless convenience makes home maintenance easier than ever before. 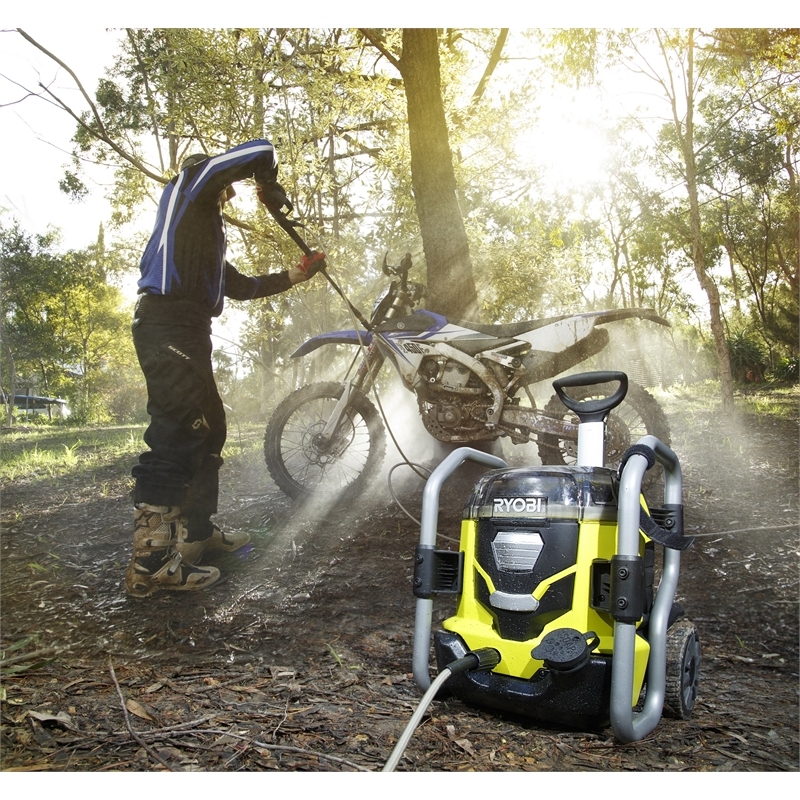 The Ryobi 36V pressure washer kit comes complete with your pressure washer console and a 5.0Ah battery. 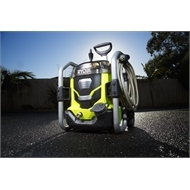 • Metal roll bars for added toughness. 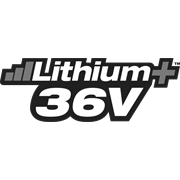 You can also add an extra battery in the console for an even longer runtime. 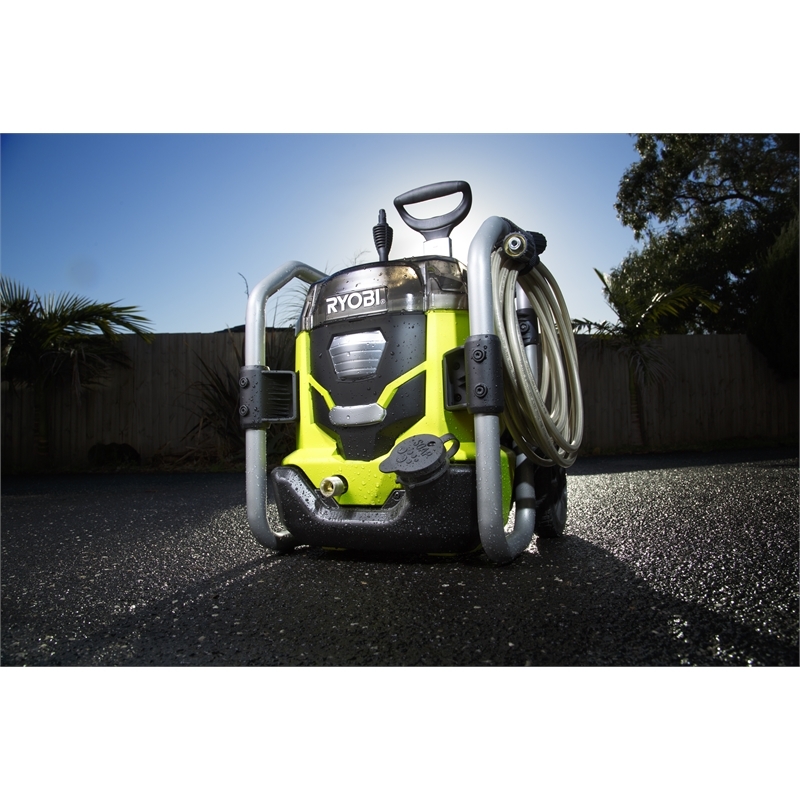 From hosing down the driveway to rinsing off your vehicles, the 36V pressure washer kit is the perfect addition to your power garden tool range. 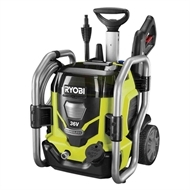 This pressure washer is backed by a Ryobi 6 year tool replacement warranty. 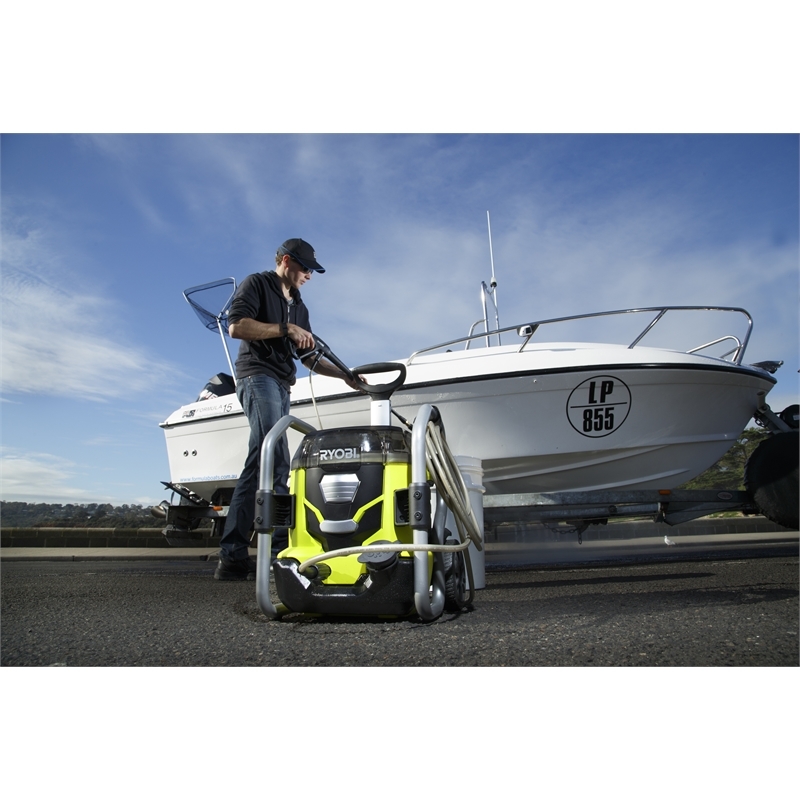 6 year replacement warranty on tool and 3 year replacement warranty on battery & charger with online registration.